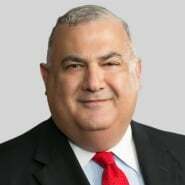 Managing Partner, Bob Tannous, was quoted in the article "The Columbus Bar Foundation Challenges Local Lawyers on Behalf of LLI" published Dec. 17, 2015. The article was about the Columbus Bar Foundation issuing a challenge to Columbus lawyers: the foundation will match each Columbus lawyer's donation made to the Law and Leadership Institute (LLI). Last year, local attorneys responded with donations to grant 38 students the opportunity to participate in LLI's enrichment programs. The Law and Leadership Institute, LLC is a state-wide initiative in collaboration with the legal community that inspires and prepares high school students, primarily from urban public school districts, for post-secondary and professional success through a comprehensive four-year academic program in law, leadership, analytical thinking, problem solving, writing skills and professionalism.